Ever since I posted my social media icon set, I have had fellow bloggers ask where I hosted my file at. No real surprise, my file is hosted on a Google server using Google Docs. I will give you a quick walk-though of how to host files on Google Docs & create direct links you can track in Google Analytics. 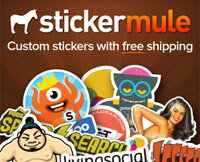 Also be sure to download & check out our free pack of basic download buttons. Google Docs, incase you don't know, is a web-based office suite. 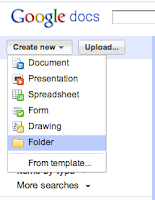 You can create & store spreadsheets, presentations, word documents & forms. There is also an extensive template library available. 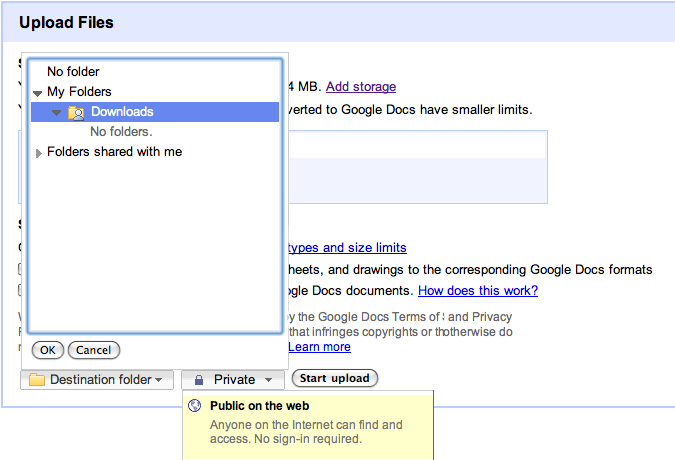 On Google Docs you can upload any file type to be stored. From ZIP to DMG to MP3. This is great if you want to be able to have files for users to download with out having to deal with the hassle of Rapidshare or Megaupload. Each account has 1024MB of free space (don't worry you can always buy more space). So as long as your file is under 1GB you are good to go. Use whatever file type works best for you. I tend to ZIP all my files, even if its a single file inside. Well first things first, if you don't already have a Google Docs account head over there & sign up for one. Its simple & free. 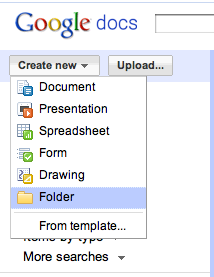 Once inside Google Docs, select 'Folder' from the 'Create new' menu. This will create a new folder for you to keep all your downloadable files in. I named my folder 'Downloads', feel free to name yours whatever works best for you. 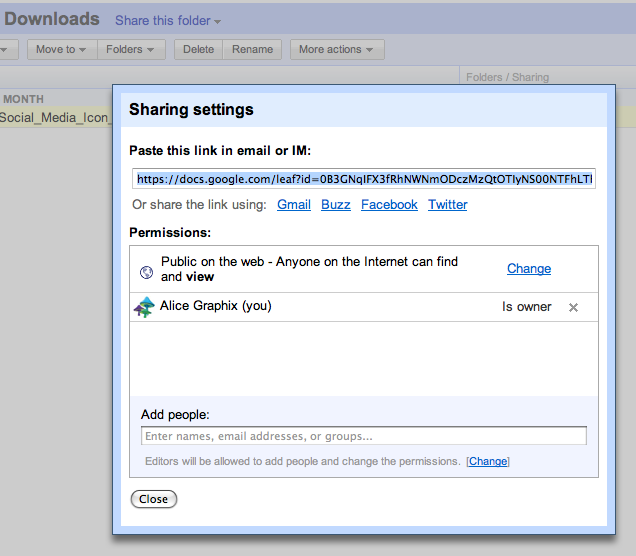 Make sure that you edit the share setting for this folder to 'Public on the web'. This will ensure that your download will be available to all users who wish to download it. On a side note, you don't have to worry about people being able to see files in other folders as long as they are still set to private. This allows you to share only the files you want. Never share files that you don't own the rights to. This can save you a headache in the long run. 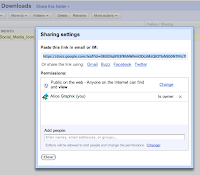 The next step is to upload the file you wish to make available to your users for download. Simply click the 'Upload...' button & select your file from your hard drive. Be sure to select your newly crated folder as the 'Destination folder' & to change the privacy folder to 'Public on the web' from the drop down menu. Once you have everything ready press the 'Start upload' button. Depending on your connection speed & the size of the file this can take anywhere from a few seconds to a few minutes. After your file has finished uploading, it should now appear in your folder. If you click your newly uploaded file, it will open the details of that file in a new window. In this new window you will see all the details of your file. Depending on your file type, there may or may not be a preview image of your file here. If you right click on where it says 'Download (__ MB)' you will see an option that says 'Copy Link'. Click that then go into an application like Notepad or Textedit & hit paste. And there is the direct link to your file for download. If you were to copy that into your web browser & hit enter you would see your file immediately start downloading. Okay now if you want to be able to track how many people download your link you will need to take advantage of Google Analytics. Again if you don't have an account or have no idea what Google Analytics is then this step is not quite for you. At some point I will write an into to GA post, just not sure when. To start you need to know what version of the GA tracking code you have installed on your site. If you find yourself in need of more storage room you can easily purchase more from Google. You can get an additional 20GB for $5.00 per year. Not too bad when you think about it, thats less than $0.50 a month. You can actually expand your storage all the way up to 16TB, but that will cost you a pretty penny at around $4,096.00 per year. In need of a nifty little download button now that you have all this new information? Why not download our pack of simple download buttons then. Get them here!